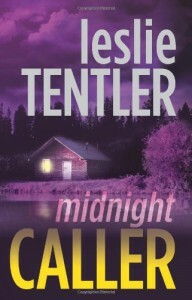 Midnight Caller is an intense, dark romantic suspense thriller that explores the underworld of New Orleans and its fascination with vampire lore. While this is not a paranormal vampire romance story, it does explore in-depth how far society will go with this cultural fascination. And with all the mystery shrouding New Orleans about vampires, even the good guys are not always convinced that they aren’t real. It was a great read, with tight plotting and a realistic pacing that kept me guessing through much of the book. Rain Sommers, a semi-famous radio psychologist who speaks to troubled youths late at night, finds herself needing the help of Trevor Rivette, an FBI agent who has been investigating a string of bizarre murders around the country. The latest murder brings Trevor to New Orleans, a town he grew up in but gladly left long ago because of an abusive father. He is only in town until the investigation is over, but after meeting Rain and realizing she is central to the murders, plus reconnecting with the family he left behind, nothing is as simple as he first hoped. While this was a great dark suspense thriller, fans looking for a lot of romance and steam may be a little disappointed -- but I hope that doesn’t stop true romance suspense fans from giving this one a read. The romance storyline is small and shadowed by the mystery and other story lines, but it does heat up in a couple of places and provides a deeply emotional happily-ever-after ending for the couple. Rain and Trevor made a believable couple, and the romance elements flowed perfectly in the story. I should also mention that this is a debut book, which is impressive! There were many characters and complex story lines running through this book, and the author did a great job to make sure we readers never got bogged down with confusing details. I have no doubt that we will see many more great books by this author, as she has really found her niche.